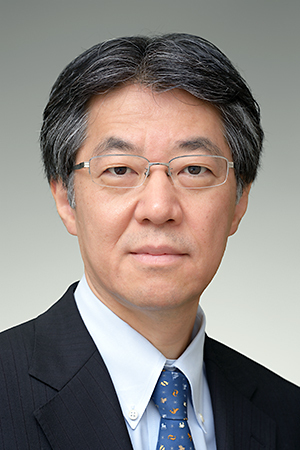 It is my great honor to be appointed as the 6th president of the Japan Heart Failure Society (JHFS). Following the foundation of Heart Failure Society of America and Heart Failure Association of ESC (European Society of Cardiology), JHFS was founded in response to the increasing level of national and international interest in heart failure, particularly its pathophysiology and the evidence from large-scale clinical trials. The Society’s first scientific meeting was held in Kyoto, October 1997. The Society started with 900 members at the time of its founding. As the Society’s activity propagated and accelerated over the years, the number of members increased and exceeded 3,000 after the introduction of the type B membership in 2006 to include allied medical professionals. During this time, JHFS has made significant contribution to advancing the treatment of heart failure in Japan by promoting the basic, clinical, epidemiological, and translational and development research, as well as participating in social activities. In view of the importance of heart failure in the cardiovascular medicine, JHFS needs to play a major role, which may be progressive for the future. I will do my best for the further development of JHFS by using the clinical, research, and education experience in heart failure. The vision of JHFS is to enrich the happy life of the patients and their families through investigating the basic pathophysiology of heart failure, and developing the effective and efficient diagnosis, prevention and treatment strategies. Due to the ageing population, the increase in the lifestyle-related diseases such as hypertension and diabetes, as well as the widespread of the acute phase treatment of acute coronary syndrome and its improving effectiveness, the number of heart failure patients is increasing. In the treatment of heart failure, it is essential to adopt a team approach between the doctors and nurses, as well as various healthcare professionals such as physical therapists, pharmacists, nutritionists, clinical laboratory technologists, clinical engineers and medical social workers. The advancement of team-based care is a prerequisite for the implementation of tele-medicine, home healthcare and palliative care and its expansion is now needed. It is important for JHFS as a society to cultivate the human resources to promote team-based care. We recognize the need to develop the young researchers who will lead the next generation of heart failure treatment. In parallel with the increase of the heart failure patients number, the number of elderly patients who repeat hospital admission, because of the complications and/or circumstantial factors such as solitude and elderly care by the elderly, is also increasing. Improving these patients’ symptoms and their quality of life as well as the prognosis requires more than just the evidence-based medicine alone – what is needed to maximize the effectiveness of the treatment is the improvement of patient health literacy and adherence, the active practice of self-care with behavior modification, and the education and training for medical professionals that would offer foundational support. JHFS has been consistently active in promoting patient education by publishing ‘Heart Failure Pocketbook’ supporting health professionals’ effort in disease management. We need further advancement in this area. Numerous researchers across the globe have been intensively working towards the elucidation of the pathophysiology of heart failure. From organs, cells to genes – with the utilization of the latest technology, tremendous effort has been made. Many basic research has reached world-leading level in Japan. In contrast, clinical research such as multi-center registries and clinical trials on a national level is not sufficient. In consideration of international collaboration, JHFS needs to take the lead in providing support for the construction of a network that would serve as foundation for clinical research. Through these missions, I am committed to contribute to the development of JHFS. None of these can be achieved without the co-operation from all the members of the Society, and I deeply appreciate your continuing support.